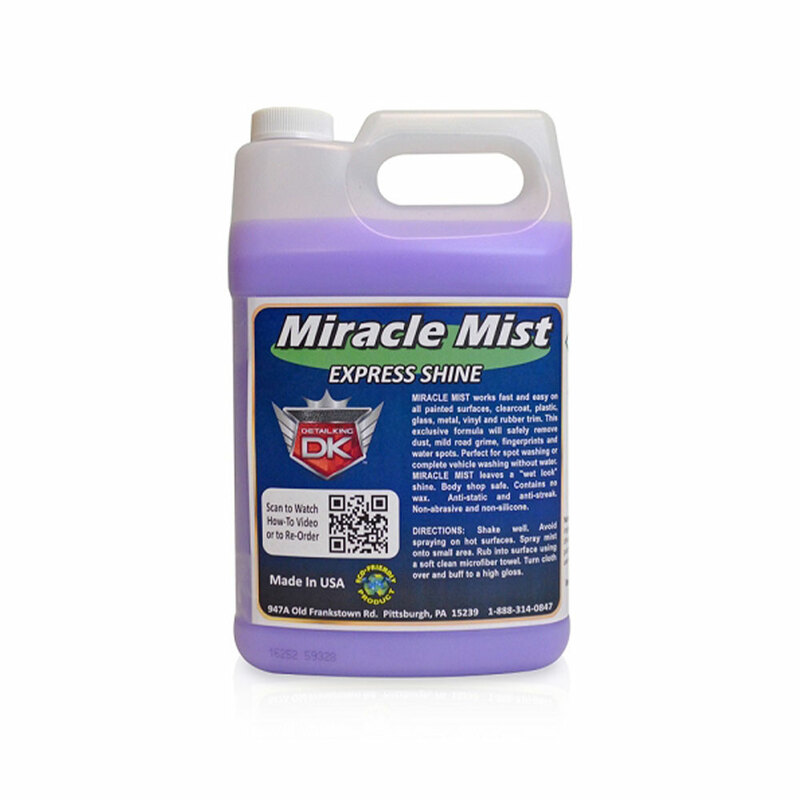 Miracle Mist Express Spray Shine applies and works quick and easy on all painted surfaces including; clear coat paint, plastic, glass, metal, vinyl and even rubber trim. 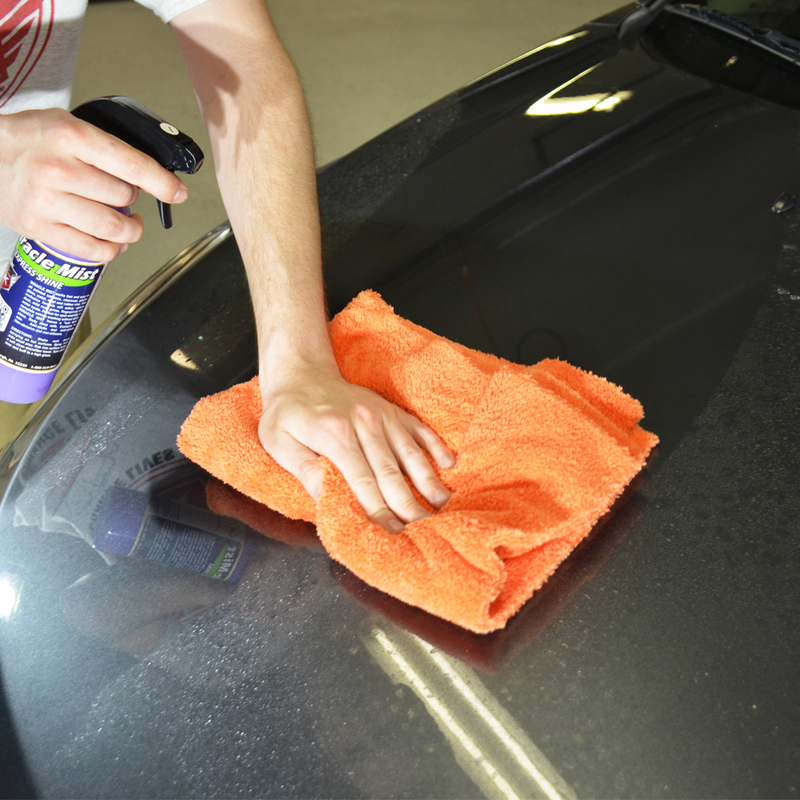 This special formula will safely remove dust, mild road grime, fingerprints and recent water spots. Miracle Mist is perfect for spot and express washing or complete rinseless washing without water! Miracle Mist will add luster to old and dry vinyl, rubber and plastic surfaces too. Miracle Mist leaves a "wet look" shine and is Body shop safe. This product contains no wax and is a perfect express product and car show get ready final inspection spray. This product is very popular with car enthusiasts and professional auto detailers because it works so well. Miracle Mist is anti-static, streak free and non-abrasive and contains no silicones. Pleasant juicy fruit scent. For This Product's Safety Data Sheet (SDS), Click Here.